It’s Monday and I feel awesome! 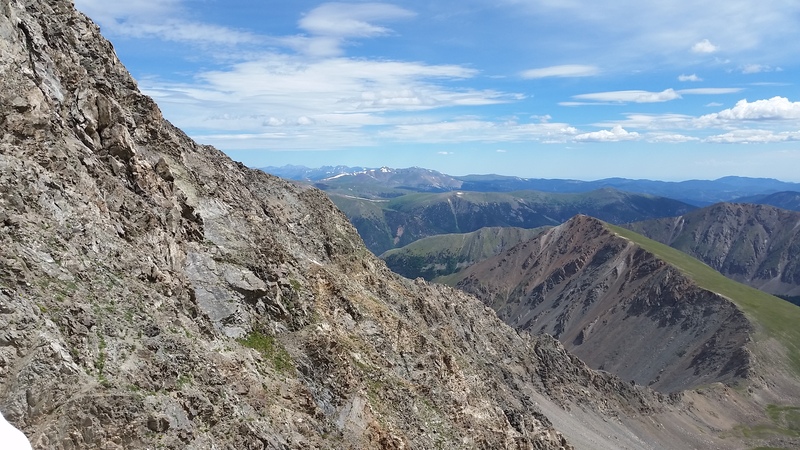 This past weekend Mike and I climbed two 14’ers – Torrey’s & Grays – and man what a rush! After 8 hours of climbing (this was a legitimate climb, not a hike! ), we were wiped. Sooooo, no grocery shopping for us Sunday. Plus, my car is in the shop, so I couldn’t have gone shopping after work anyway (thank goodness I work from home!). So, what the heck do I cook for dinner on Monday?! DAMNIT! Perfect solution: Chick Pea Curry. 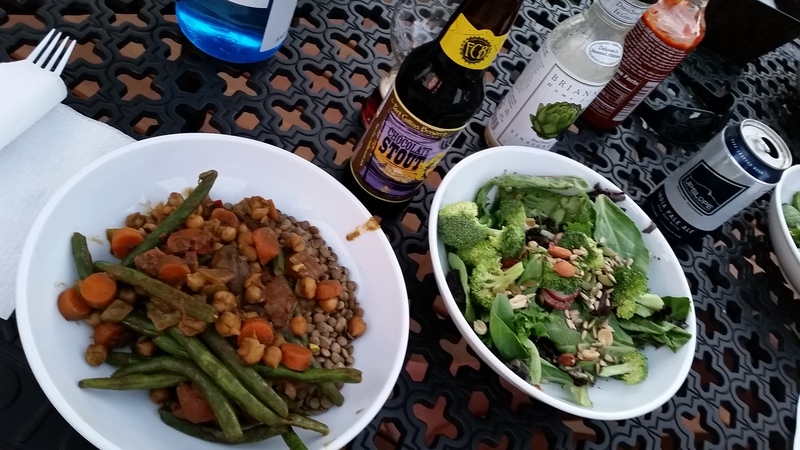 There are a few staples I always keep around and chick peas and lentils are two of them. I’m a huge proponent of using what you have on hand to create a weeknight meal – and this was a two dish-er (meaning I only used a pot and a cast iron skillet, which translates to minimal dishes!) Nailed it! Voila – dinner is served! Heat the butter – when melted, throw the onion and garlic in for about 2-3 minutes. Then throw the carrots in for another 3-4. While that is sauteing, put 2 cups of water with 1 cup of lentils in a pot. Boil rapidly, then turn down the heat (uncovered pot) for about 20 minutes. When carrot mixture has cooked for about 7-8 minutes, put in the coconut milk, tomato, spices and salt. Cook until the mixture boils, stirring occasionally, then simmer. Throw in your chick peas, green beans and mushrooms and cook for another 4-6 minutes. I like my veggies al dente, so cook longer if that’s your preference! 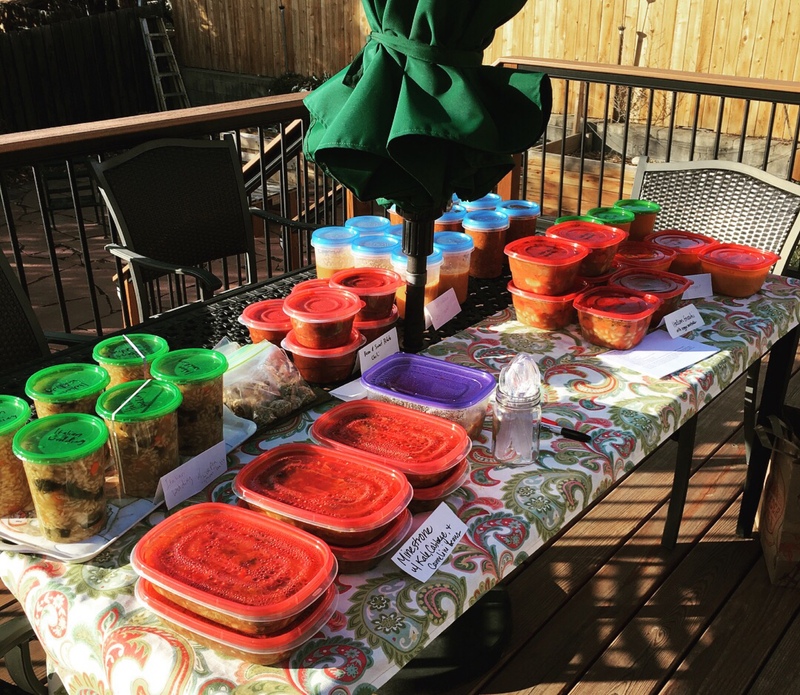 Spoon your lentils into a bowl and top with your curry goodness! I put sriracha on mine (as I put that on everything and have killed my taste buds!) but Mike had his plain and loved it!